Good news! 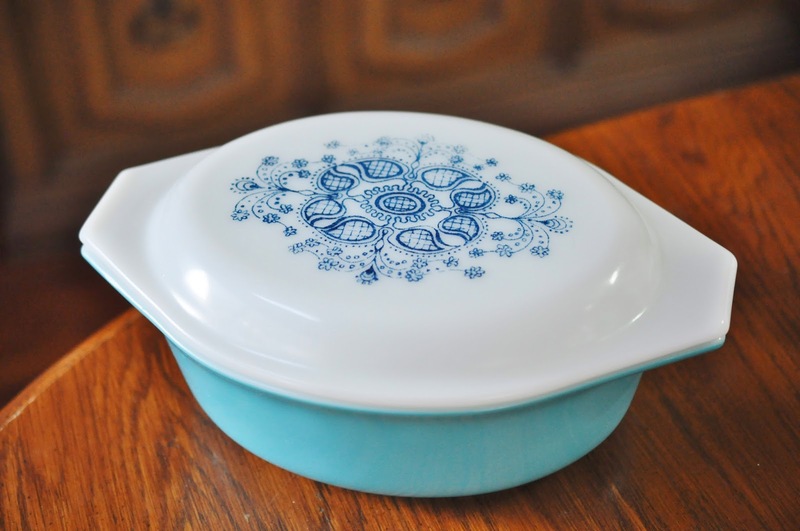 Fellow vintage lover Lizbeth over at The CatTeaKitchen is having a giveaway–and the prize is an awesome piece of Pyrex. This blue doily 043 casserole is up for grabs and would look perfect with my modest collection–all white and turquoise, coincidentally. Wish me luck and head on over to her blog to see more vintage beauty!